Covering the Isle of Man TT. How do they do it? The 2018 Isle of Man TT turned out to be one of the most spectacular fortnights in the storied history of the meeting. Virtually every race saw new lap records set, at speeds that were unthinkable a decade ago. The weather was glorious, and a host of new dining and imbibing options have proliferated. There were some tragic losses to go with the glory, but that is part of the unparalleled history, character, and danger of this extraordinary contest. Other than the 40,000 visitors to the TT, though, millions of additional motorbike enthusiasts around the globe settled for watching the race coverage in the comfort of their homes. But not live. Instead, the TT programming is distributed as a set of same-day highlights programs, which spawns considerable production challenges. The TT is the world’s ultimate road race, and producing and distributing TV and radio coverage is as big a challenge as exists in sports. The Mountain Course sprawls over an entire island, an almost incomprehensibly huge 37 ¾ miles through villages, open spaces and yes, a mountain. The TT is run as a time trial, over 2 full weeks, and is subject to constant weather and racing incident contingencies. 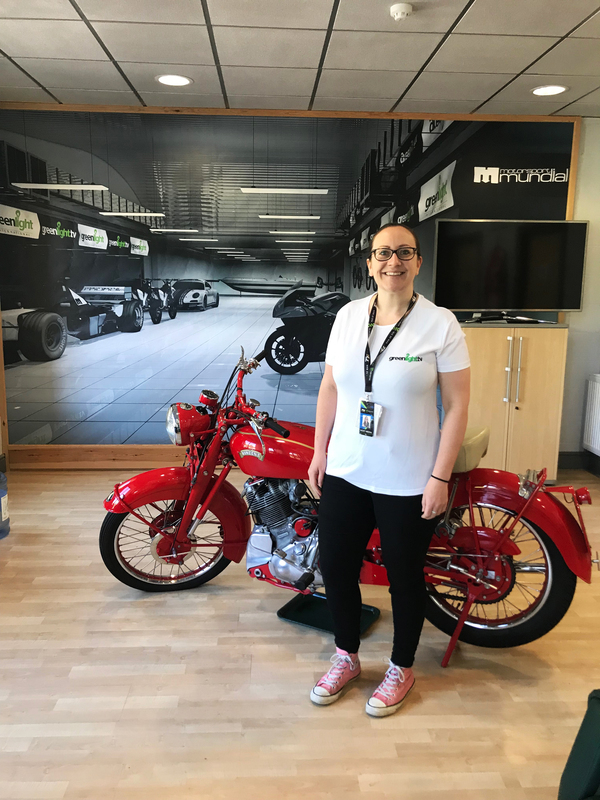 Add to this, speeds averaging over 130 mph and reaching 200 mph on the Sulby Straight, 70-90 bikes in each race, race lengths of up to 227 miles. This ain’t like covering a baseball game. And, precisely because it ain’t baseball, the TT has gained awareness and popularity around the globe due to the breath-taking spectacle of the races, and superb nightly programming now seen in over 130 countries. Tim Reeves and Mark Wilkes at Union Mills during qualifying for TT 2018. The unique beauty of the TT is on display via the photography and video captured during the fortnight. 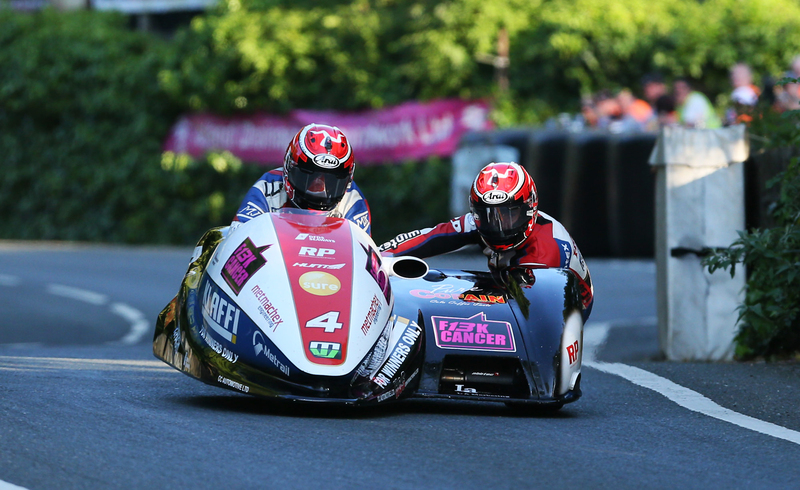 Photo by IOMTT.com. My hunch is that streaming with a subscription plan will be the ticket in the near future. Aísling Ridout, Production Manager at Greenlight Television. I’d like to work at a company that has a Vincent Comet in the lobby. Gathering the footage for our sweet little Motorcycle.com TT video and another motorbike-themed project I’m working on (my primary source of putting food on the table is the business side of TV and digital media, which is also responsible for this being just a little tiny bit late) put me in contact with Aísling Ridout, Production Manager of Greenlight Television, the Isle of Man-based host broadcaster for the TT, and one of the world’s leading motorsport television producers, including the Monaco Historic Grand Prix and the North West 200 Road Races. The secret weapon of TT coverage though, is Manx Radio, ‘The Nation’s Station.’ Live, wonderfully colorful coverage of every practice session and race, chat shows, paddock and parc ferme interviews and commentary, led by a team of broadcasters who are as knowledgeable and passionate about their subject as any in the world. 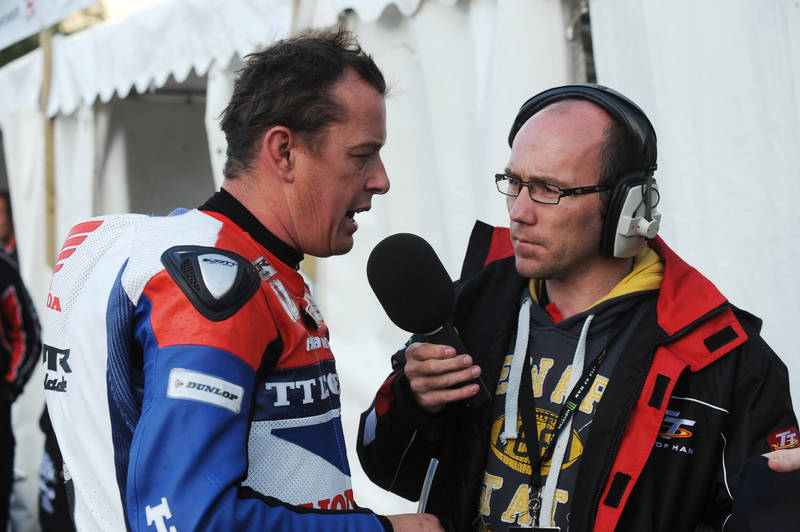 Chris Kinley anchors live coverage of the races on Manx Radio. Here with John McGuinness a few years back. Tim Glover, Chris Kinley, Dave Christian, and Ramsey Hairpin commentator, Roy Moore, practice their craft for the TT, and the beautiful thing is that you can download the Manx Radio app or go to ManxRadio.com to stream the wonderful sounds, live timing, and race coverage to experience the glory of the races for free, live, anywhere in the world. I’ve lost countless productive work hours at my desk in The Chrysler Building with Manx Radio coverage of the Southern 100 and Classic TT/ Manx Grand Prix over the years. Do yourself a favor, and listen in come August, you’ll love it. 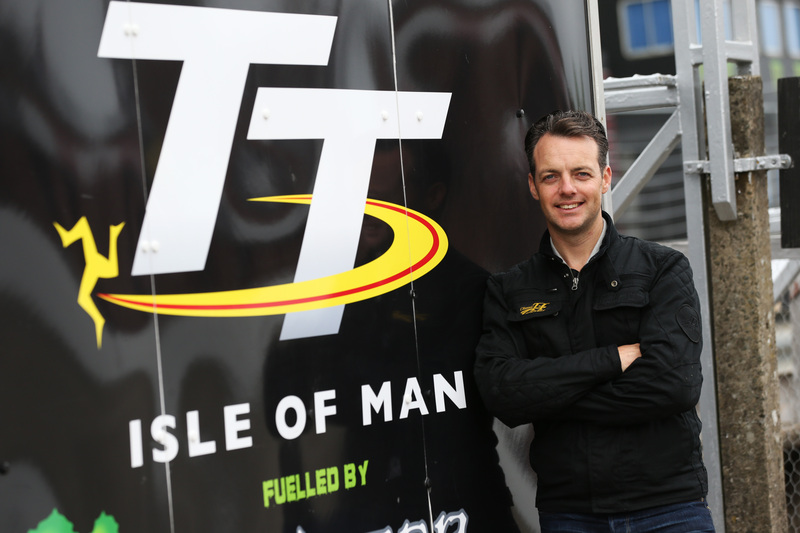 Cameron Donald, former TT winner and expert road racer is now anchoring television coverage of the TT. 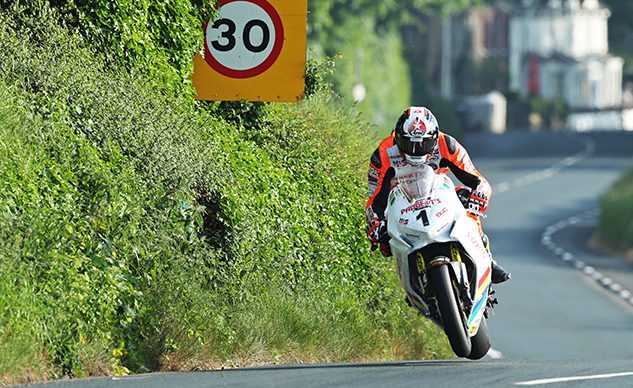 Photo by IOMTT.com. Duke Video will soon have the DVD and digital downloads of the 2018 TT programs and on-boards available for purchase, and they already have massive amounts of TT-related merchandise and historical video. You’ll not want to miss having them in your collection. Get your credit card out now. I’m already counting down to my 11th annual visit to the Isle of Man TT in May of 2019, and hit me up if you have any questions on how to make the trip a reality. In the meantime, take a few minutes enjoy our little TT sizzle video here on Motorcycle.com. See ya’ on the Isle of Man!